January is always a special time of the year as it marks the release of two significant records by Virginia: the A Bao A Qu EP in 1982, which marked her first release on the Why-Fi label and ‘Love’s A Lonely Place To Be’ in 1983, which was her first single release for the same label. It was the release of that single, and the subsequent airplay that it received, that helped to establish Virginia’s profile for the UK record-buying audiences. Meanwhile, February marked the release of the Melt The Snow EP, a special 12″ release on the Rough Trade label originally released in 1985. As well as the title track, which encapsulated Virginia’s talent for pastoral pop (albeit with a suitably wintery theme), the EP also boasted two equally captivating instrumental tracks. 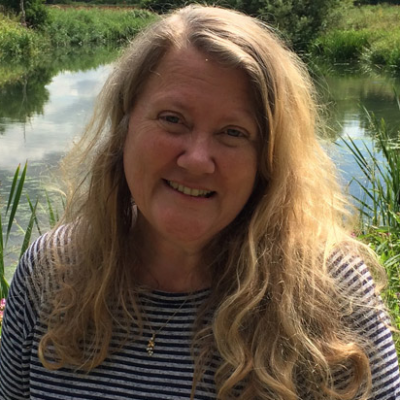 But in more recent years, Virginia has turned her focus to the written word. 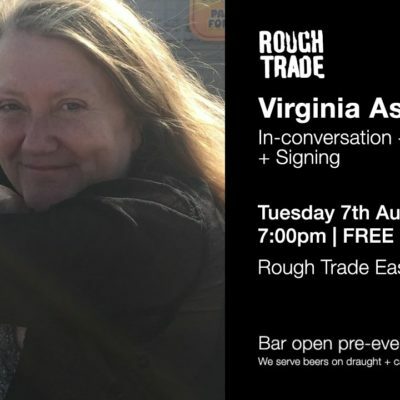 “I think there’s a deep connection between song-writing and poetry” commented Virginia in an interview for Literature Works, “They feel like hybrid forms of the same thing.” She also touched on the influence of Thomas Hardy and how her extensive musical career dovetailed into her more recent writing endeavours. Achieving recognition for her poetry in recent times, Virginia had also embarked on a special project that connected with the country’s most well-known river course. 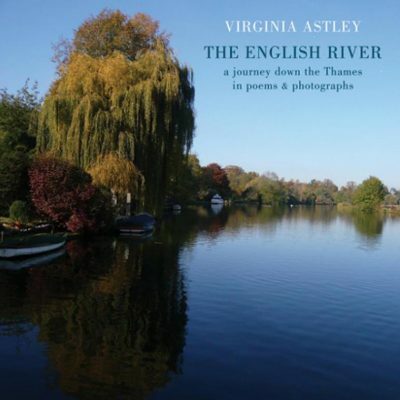 The English River told a story through a series of poems and photographs that told stories both evocative and personal. Its publication in 2018 also marked Virginia’s first dedicated book of poetry (following on from The Curative Harp, a chapbook published in 2015). 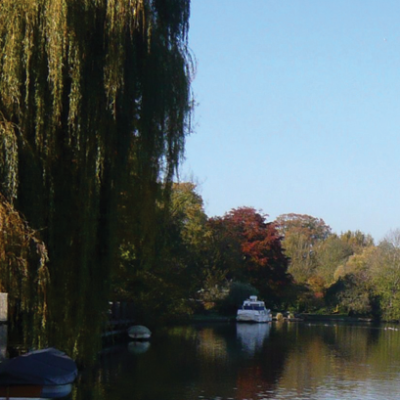 The book attracted praise, including glowing reviews by Caught by the River and Write Out Loud. Meanwhile, a series of spoken word appearances were scheduled to tie in with the book’s publication. Some of these appearances, often at select bookshops, also saw Virginia accompanied by daughter Florence on harp. Virginia also appeared as Gideon Coe’s guest on BBC6 Music in July. She discussed the genesis of The English River, her writing and her extensive song writing career. Virginia also chose some of the music played during the show. 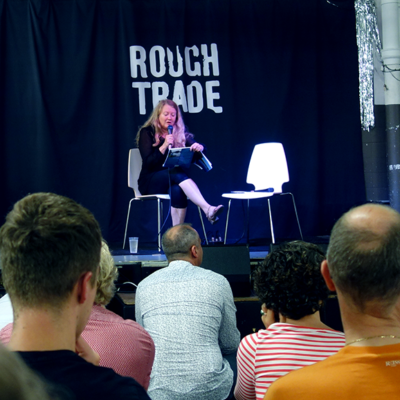 While most of Virginia’s appearances took place in the West Country, she also made a special appearance at Rough Trade in London to give readings from the book. She was also interviewed on stage by poet Will Burns. In August, the VAW Facebook page dedicated several posts discussing the writing and recording of Virginia’s 1986 album Hope In A Darkened Heart. Our archivist Rob Brown tracked the album’s story, pulling in contributions from some of the people involved in the recording. This included the initial sessions at Wool Hall Studios in Somerset to George Martin’s AIR studios above Oxford Circus in central London (where Duran Duran were busy recording their Notorious album in the adjoining studio). 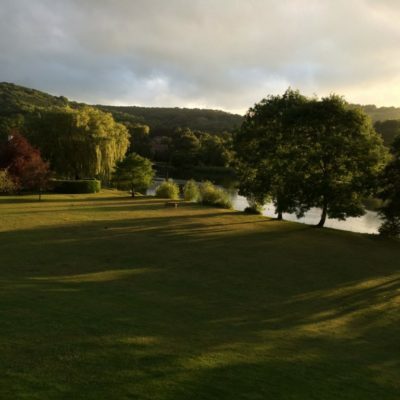 In October, Virginia and Florence Astley put on a captivating performance as part of the Sevenoaks Literary Festival. The event, which coincided with National Poetry Day, was given an extra flourish by featuring projections of Virginia’s photographs. Meanwhile, Florence’s mesmerising harp accompaniment gave a pleasant ambience to the performance. In November, Virginia & Florence Astley staged a performance at Thomas Hardy’s former home, Max Gate, on the outskirts of east Dorchester in Dorset. This month also saw some reminiscing about a rare song that Virginia dating back to 1986. ‘Le Song’ (‘A Day, A Night’) had originally been recorded specifically for use in a Japanese television commercial for instant coffee. The recording was subsequently released as a 7″ single before being added as a bonus track to the Japanese edition of the Hope In A Darkened Heart album. Remembrance Day is a traditional memorial day observed since the end of the First World War. Taking place on the 11th November each year, the event commemorates members of the armed forces who have died in the line of duty. For the 2018 observance, we cast our eyes back to Virginia’s composition ‘Futility’. One of the earliest songs that Virginia had composed, the song’s lyrics are drawn from the poem of the same name by Wilfred Owen. Considered as one of the most renowned poets of the First World War, Owen wrote ‘Futility’ in May 1918. The words have a simple, haunting quality to them that eschews the horrors of war. Instead, they tell a simple narrative about wishing for the power of the sun to rouse a soldier who has perished. Virginia’s version of ‘Futility’ appeared on the NME compilation album Mighty Reel in 1982 and later appeared on the Promise Nothing album in 1983. December also revealed an interesting story regarding one of Virginia’s early champions of her music on the radio. In the early months of 1982, Virginia had released her debut EP A Bao A Qu and the Ravishing Beauties were supporting the Teardrop Explodes on their UK tour. As well as record buyers discovering Virginia’s music for the first time, several broadcasters were also showing interest. BBC Radio 1 presenters John Walters and John Peel, for example, were very early supporters of Virginia. But another keen supporter was Nottingham-based Radio Trent presenter John Shaw, who regularly played Virginia’s records on his late Sunday evening show Here Be Dragons. It was on this show in early 1983, that John interviewed Virginia about her then-current release, ‘Love’s A Lonely Place To Be’. 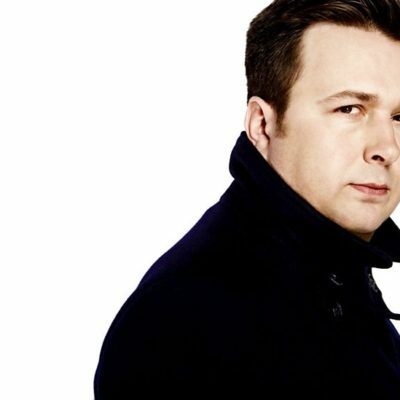 During his time as a music radio presenter, John would ask his guests to sign copies of their records. Amongst the many who did were the Ramones, Bryan Ferry, John Martyn and of course, Virginia Astley. Sadly, John Shaw passed away in 2013 following a short illness. But his huge record collection was made available for sale by his brother Nick Shaw, which enabled us to learn about this lost moment from Virginia’s early days. December concluded with another performance by Virginia and Florence at Max Gate. Music, stories and poetry from Thomas Hardy’s time helped to bring the writer’s former residence back to life.